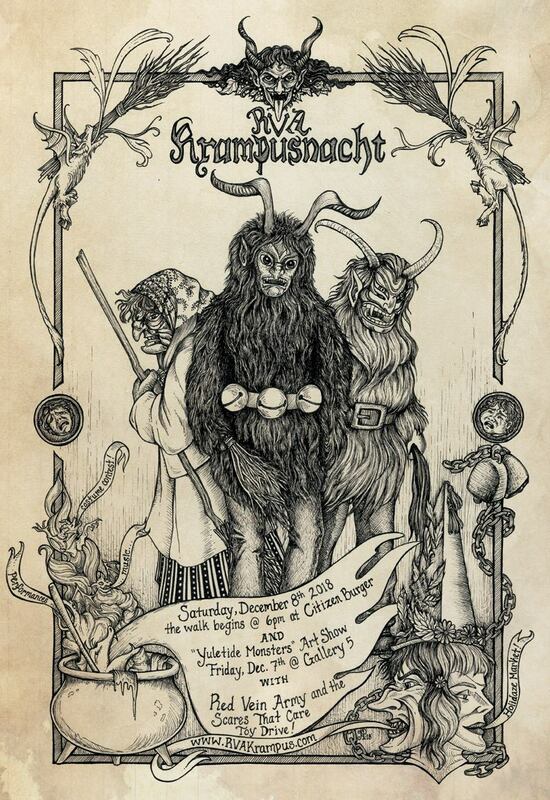 Welcome to the official web page of RVA Krampusnacht, your information source for Krampus activities here in the River City! We represent a cross section of people from all beliefs and backgrounds that join together in early December to celebrate a unique and frequently misunderstood character from Alpine Christmas tradition – the Krampus! Mark your calendars for 2018! 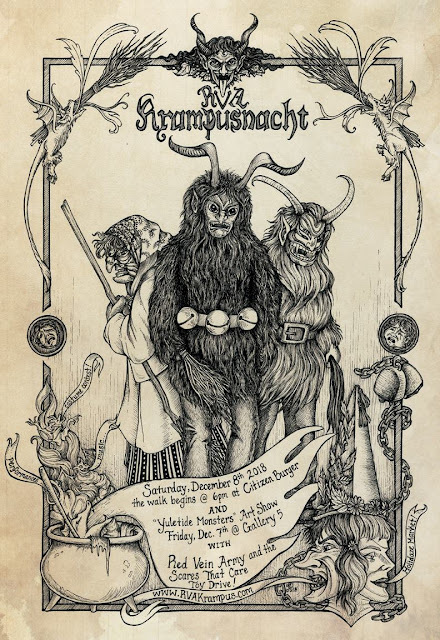 The 6th annual RVA Krampusnacht will be held on Saturday, December 8th 2018 at 6pm. And don't miss our 'Yuletide Monsters' art show with live music and a holidaze market at Gallery 5 on Friday December 7th! For a full list of 2018 events click here! We've partnered with Black Heath Meadery to bring you this special edition Krampus Mead! Thanks to Foggy London Towne for making some of our poster art into a sweet label! RVA Krampusnacht is proud to participate in a toy drive for Scares That Care, a 501(c) charity organization that is dedicated to uniting horror fans to help sick children and women fighting breast cancer. Along with Scares That Care we are proud to partner with Red Vein Army for our toy drive and other spooky events. 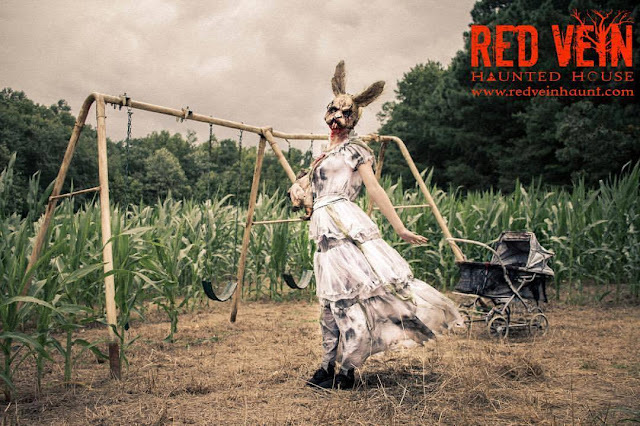 Look them up for their horror book club and the Red Vein Haunted House running every Friday and Saturday night in October at the Hanover Vegetable Farm! 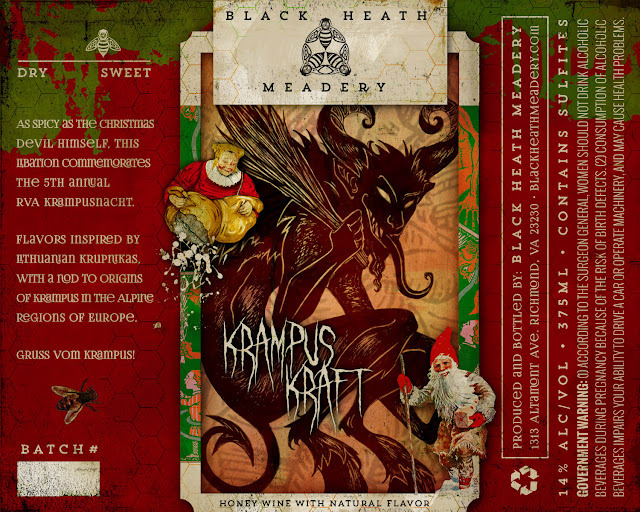 Krampus is hitting the mainstream! One of our photos by Dave Parrish was used in this article on dangerousminds.net. See what Style Weekly has to say about our event. We have also been featured in RVA Magazine and RVA News!